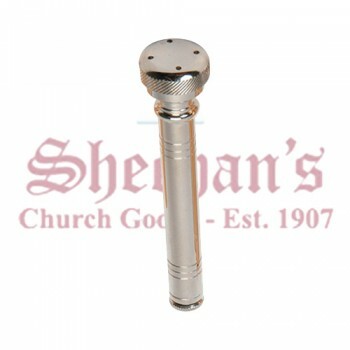 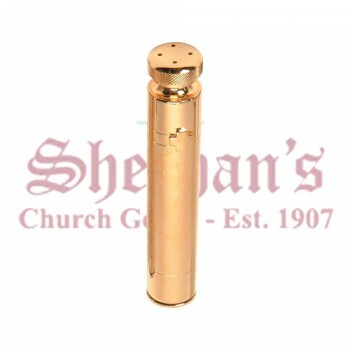 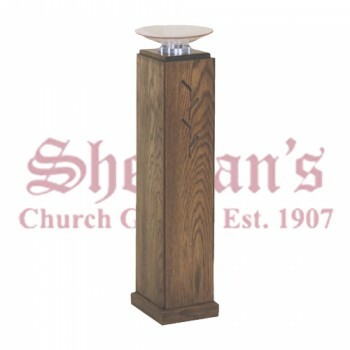 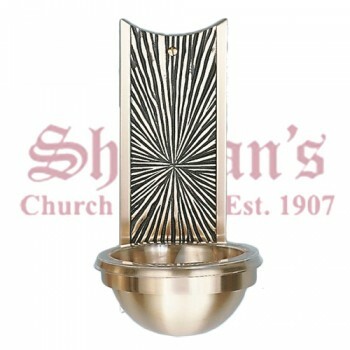 Store, disperse, distribute and sprinkle holy water with ease using holy water fonts, sprinklers, dispensers and more from Matthew F. Sheehan. 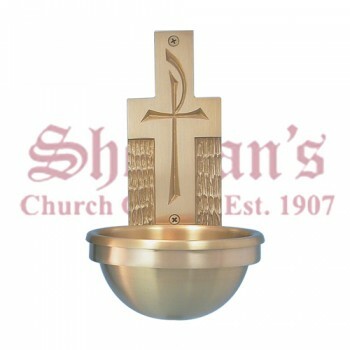 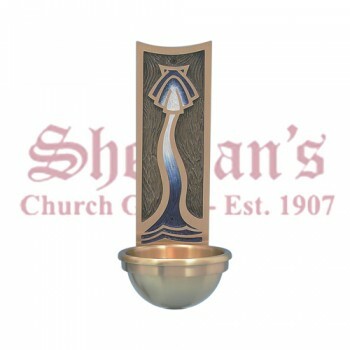 We offer a large selection of holy water items to choose from including sprinklers, reservoirs, pots and more. 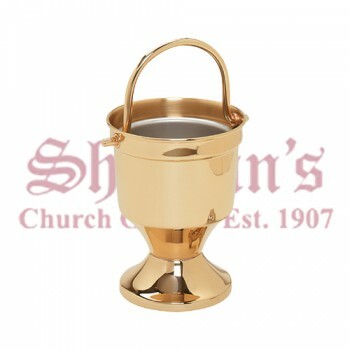 Choose the items that suit your needs to easily and accurately dispense the blessed water in style and grace. 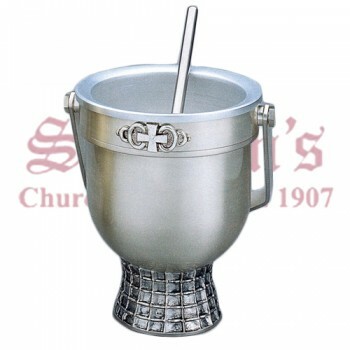 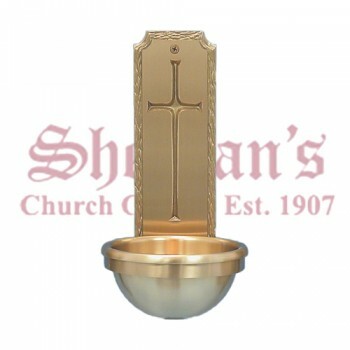 With over 100 years of experience serving the religious community, you can trust us for the best selection of high-quality and effective holy water products for your church or sanctuary. 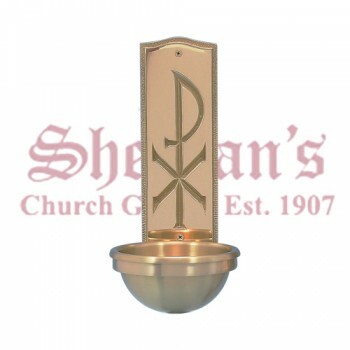 Our large selection of holy water sprinklers, holy water sprinkler brushes, fonts and dispensers are designed with form and function in mind. 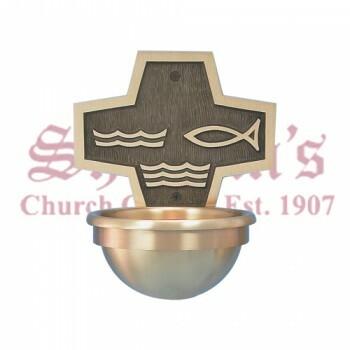 The materials used to make the holy water vessels are rust-resistant to prevent contamination and include special embellishments on the front, sides or top that not only enhance their design, but also provide a valuable purpose by identifying the contents of the vessel as holy water. 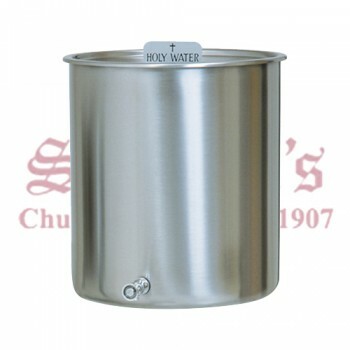 For example, a holy water dispenser may include a small cross and water symbol near the top while a holy water font may have baptism symbols engraved on the front. 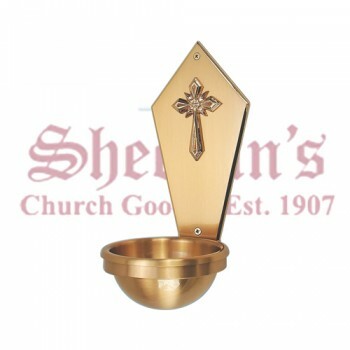 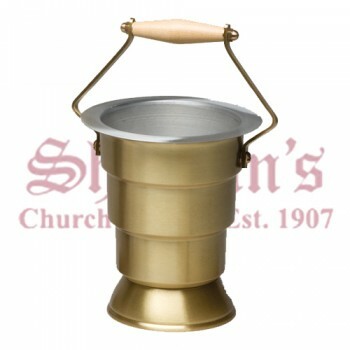 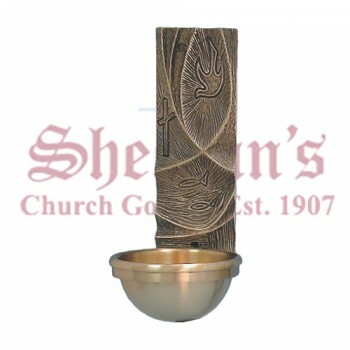 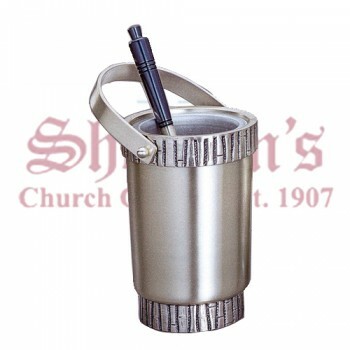 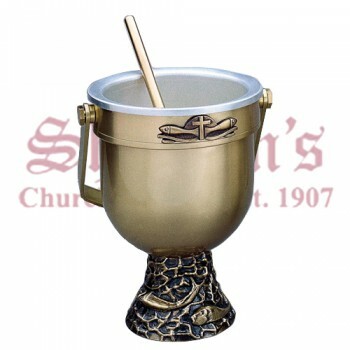 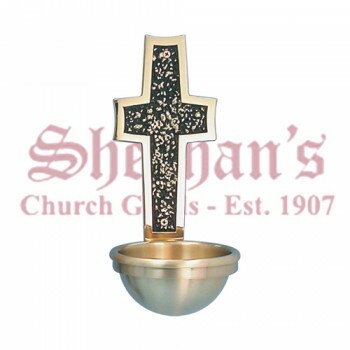 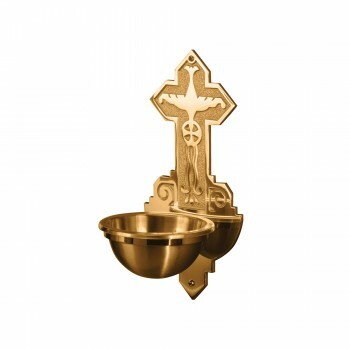 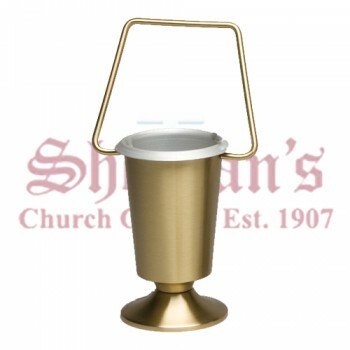 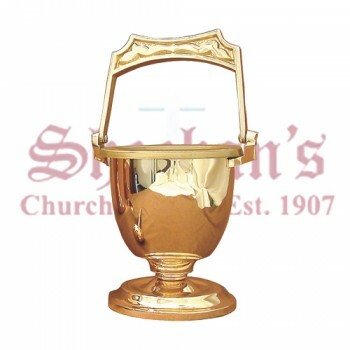 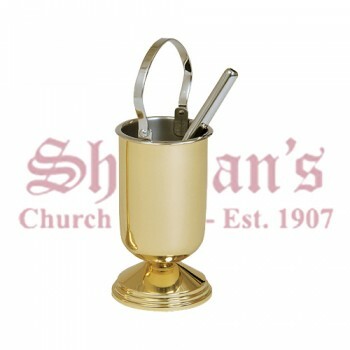 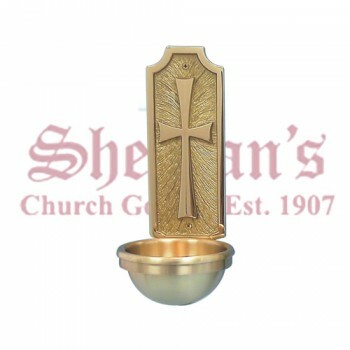 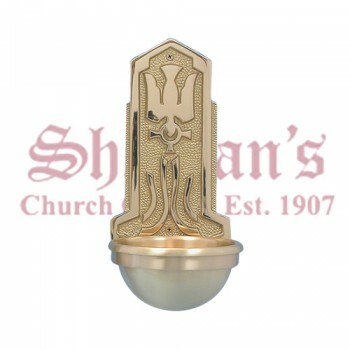 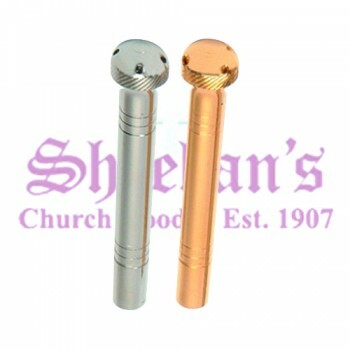 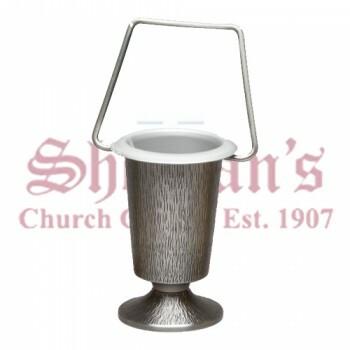 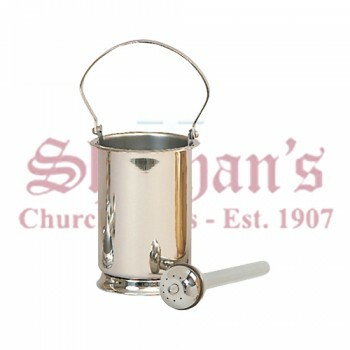 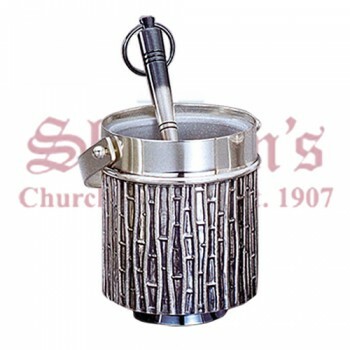 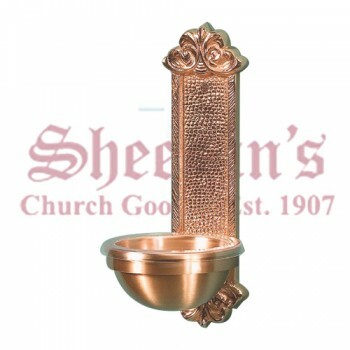 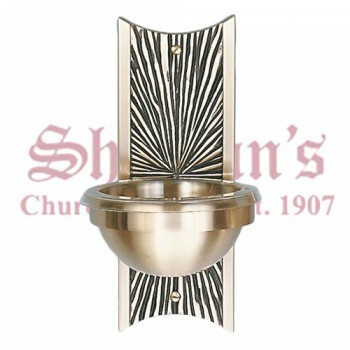 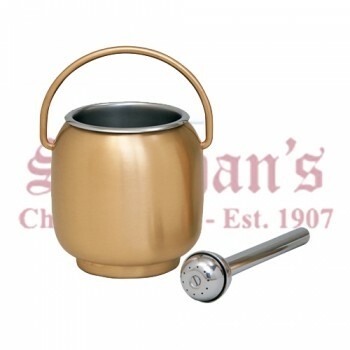 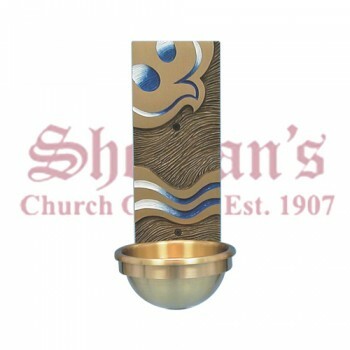 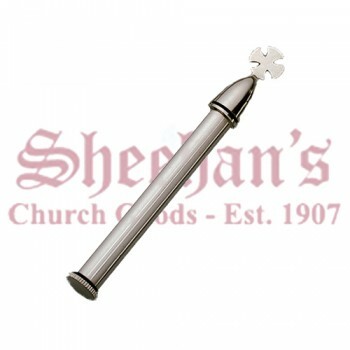 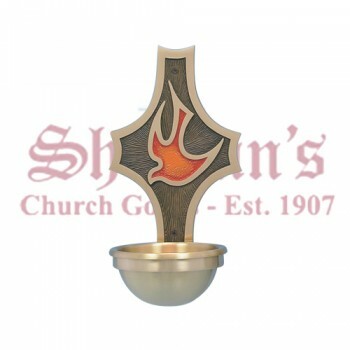 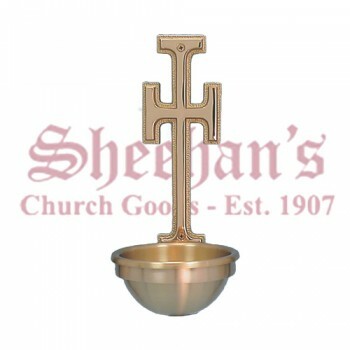 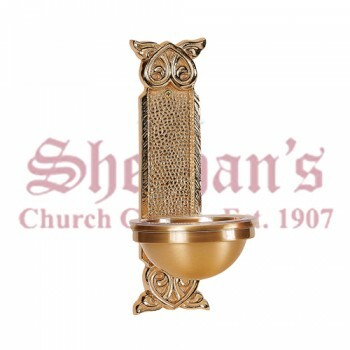 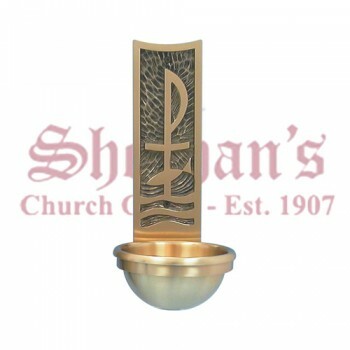 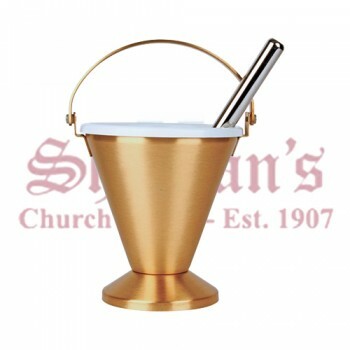 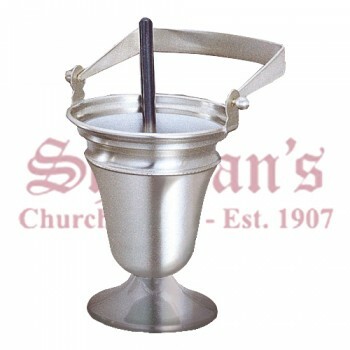 Whether you're looking for a simple holy water sprinkler, large holy water fonts or a vessel for storing and transporting excess blessed water, Matthew F. Sheehan carries the finest selection of holy water accessories on the net. 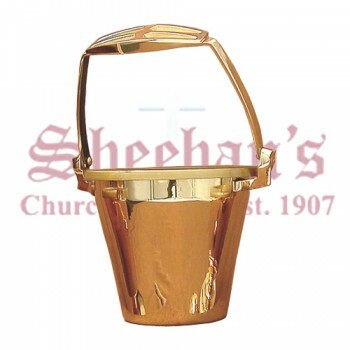 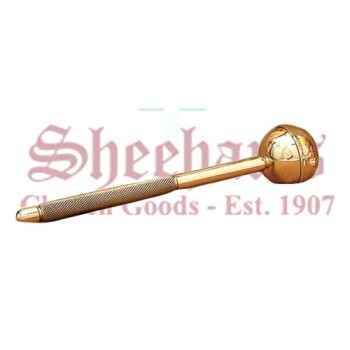 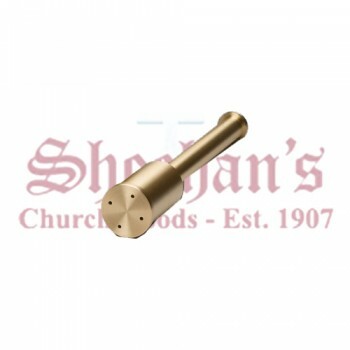 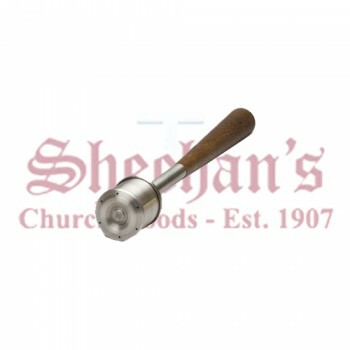 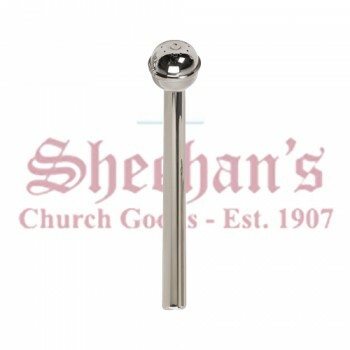 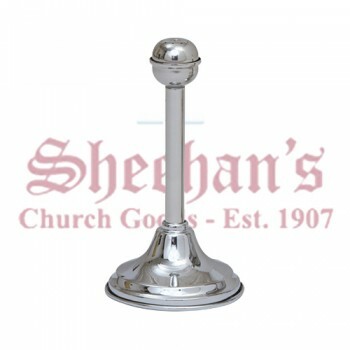 Matthew F. Sheehan has been in business since 1907 and is proud to be a leading supplier of holy water storage and disbursement items on the net. 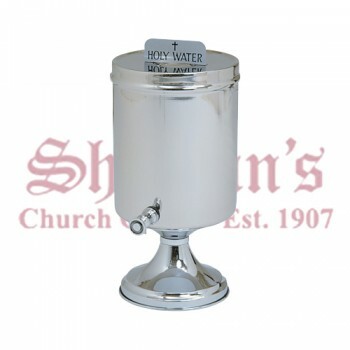 Shop today for the best selection of premium holy water products at affordable prices.